We conduct our surveys to the highest standards possible as specified by the PCA (formerly BWPDA). 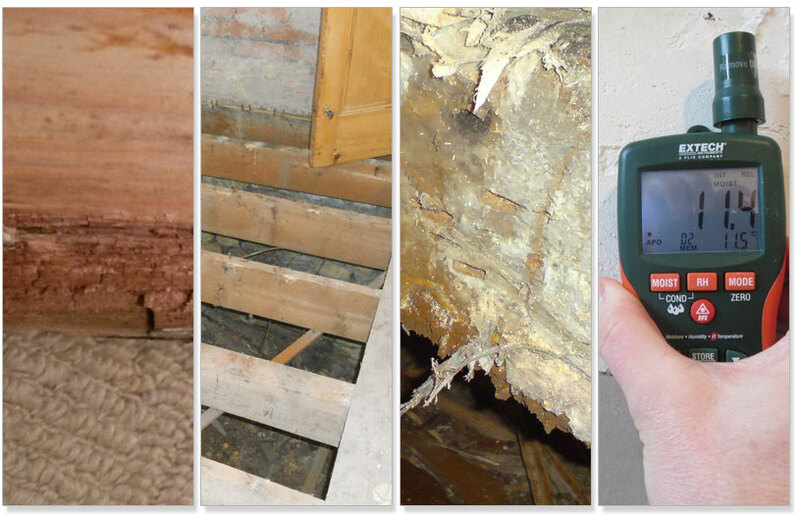 Our Timber Surveys will give accurate feedback as to the existence of any problems that may exist such as Woodworm, Dry Rot and Wet Rot, they will also show any problems that may be present due to damp, condensation or poor ventilation. We provide timber and damp reports which are conducted by experienced and fully qualified surveyors who hold the National Qualification for remedial surveying CSRT awarded by the BWPDA / PCA our industry body. This demonstrates that our surveyors have been independently examined and tested, so you get the highest possible standard of survey. Our reports contain comprehensive advice of any problems identified and include our recommendations, specifications and costs for repairs. Our report prices start from just £75+ vat dependent on the type of survey required. Any survey fees are deducted from the repair costs should you instruct us to conduct the remedial work required.